Defence Minister, Brig-Gen. Mansur Dan-Ali (rtd), has said that it could take years to find all the Chibok girls kidnapped by Boko Haram insurgents. Recall that the terrorists kidnapped the 276 students from a government secondary school in the north-eastern town of Chibok, Borno State, on April 14, 2014. About 195 of the girls are still missing and are believed to be in the custody of insurgents, whose activities have caused the death of about 100,000 people since 2009. Speaking to VOA’s Hausa service, monitored in Yola, on Tuesday, the minister, said the military was committed to finding the girls and is searching Boko Haram hideouts in the Sambisa forest, a vast area covering parts of three states in north-eastern Nigeria. He compared the inability to find the girls despite retaking most of the territory initially occupied by Boko Haram to the U.S. efforts to find Osama bin Laden after the invasion of Afghanistan. Mr. Ali spoke to VOA as activists marked the third anniversary of the girls’ abductions demanding more from the federal government to free the girls. In 2014, Boko Haram seized control of about 14 local governments in the north-eastern states of Borno, Adamawa and Yobe. They have since lost virtually all the territory they occupied with the government saying they no longer control any territory within the country. 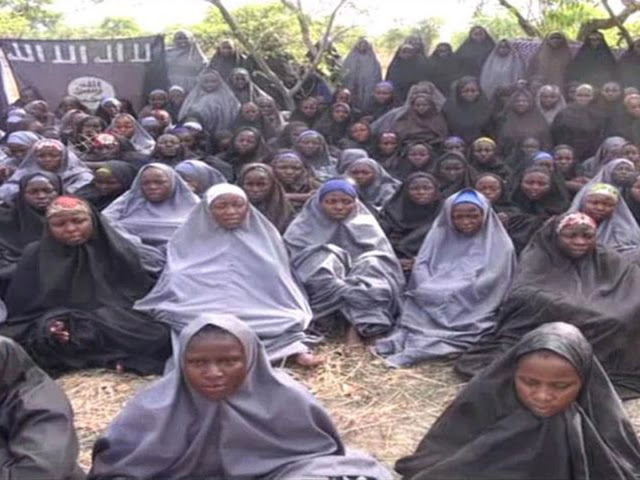 Despite the success, the government’s inability to find the Chibok girls is overshadowing the military victory. While reacting to the abduction on the VOA programme, an Islamic cleric, Nuru Khalid, a member of the influential Interfaith group that tries to ensure peace between Nigerian Muslims and Christians, said failure to find the girls would translate into a victory for Boko Haram. Also, a human rights lawyer, Bulama Bukar, said the government needs to address the psychological trauma suffered by the families of the missing girls and other victims of Boko Haram brutality. President Buhari in his statement to mark the three years abduction of the Chibok girls had pledged that his administration will do everything possible to ensure the freedom of the girls.